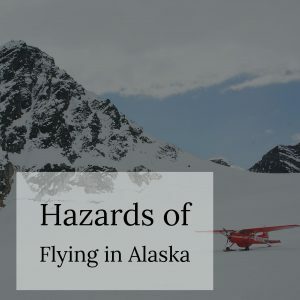 Alaska is known for having some of the most hazardous flying conditions in the country. The National Transportation Safety Board (NTSB) has released a new report giving more insight into what caused the 2015 crash of a sightseeing plane near Ketchikan, Alaska. According to the story covering the report’s release, the plane crashed into a rock face, killing everyone on board, including the pilot and eight passengers, who were tourists from a nearby cruise ship. The story goes on to state that many of the pilot’s peers and co-workers claim he was highly experienced and had a reputation for safety. The president of the company that owned the plane told the NTSB that the pilot had at various times canceled flights due to bad weather, and had even declined to fly in conditions other pilots didn’t hesitate to take on. However, some of the individuals interviewed claimed the pilot sometimes opted to fly in high winds, and that his plane’s floats had been known to strike trees during flight — a sign he might have taken unreasonable risks. On the day of the crash, logbooks show the pilot had already made two flights and was on his third when he chose to take a route that took the plane through a “narrows” between two mountain peaks. Reports also state that the plane involved in the crash had a terrain avoidance warning system with an “inhibit” switch that could be flipped to turn the system off in areas where the terrain made the system send alerts too frequently. Investigators at the crash site found that the switch was off and that the plane’s warning system had been disabled, meaning the pilot would not have received alerts about flying too close to dangerous terrain. The NTSB report also revealed that one of the individuals required to approve all flight plans for the company whose plane was involved in the crash didn’t have any actual aviation experience. This is why it’s critical to thoroughly investigate any aviation sightseeing operation you encounter before boarding a flight. Don’t take it for granted that the company will act in your best interests. If you have been injured in a plane crash, or you have lost a loved one in an aviation accident, act quickly to protect your rights. Contact a New York City airline accident lawyer as soon as possible to discuss your case. Jonathan C. Reiter Aviation accident lawyer. T: 212-736-0979.